How will Fiat S.p.A. become a premium brand? Bruno Busacca in the Marketing Department at the Bocconi University in Milano was given a tough position to boast bragging rights about that we refute. At first, it is vital to know that Fiat S.p.A.
is the parent company of Fiat Group. 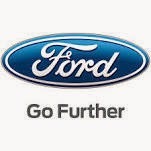 one of the Big Three US automobile manufacturers. Fiat S.p.A is also a mass market brand. Fiat Brand, built in several locations around the world outside The Italian Republic, is the market leader in The Federative Republic of Brazil, which is the largest country of production. 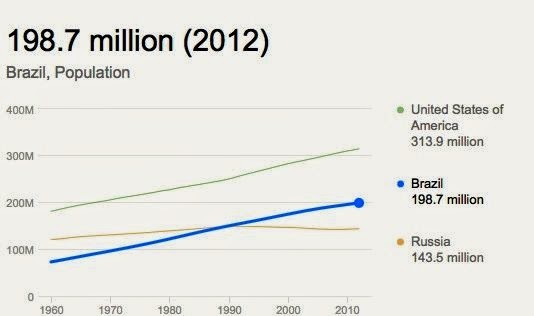 The World Bank and US Census Data in the graph shows rising trends reflecting on the cultural morals and values of populations in The Federative Republic of Brazil, The Russian Federation and The United States of America. Data and facts like these were not supported in the video dialogue. Further re Fiat Brand and who owns what? A road map to the auto industry partnerships is in a confusing state of family affairs. Consumer Reports Liza Barth states, "The past few years have seen bankruptcies, entire divisions killed off, partnerships, sales, and separations making it difficult to keep up with who owns which car brands. Fiat Brand only owns Alfa Romeo, Chrysler, Dodge, Ferrari, Jeep, Lancia, Maserati, Ram and SRT. According to THE WALL STREET JOURNAL Detroit's Big Three are returning to excellence. 2013 was a huge year for auto sales in The USA. At the North American Auto Show in Detroit, US Carmakers signaled indications their long slump was something of the past. The world has moved past Bruno Busacca as he tries to create a managerial class capable of leading the world in pursuit of excellence in business and economic studies. Perhaps he was enlisted in 1902 when Bocconi University established its mission? Although Milano is noted for creativity in the Arts and Humanities, which has given rise to many Italian International Enterprises; undergraduate, graduate and post graduate programs where students are able to have learning tools to develop their potential to the fullest and try to master business concepts with creative thinking skills which they are able to apply globally are not programmed at Bocconi University. The past week I was on the horn with Chrysler LLC European Executives, Gruppo Telecom Italia - a consortium of European countries, and Westinghouse Electric Germany - a Toshiba Group company; all the managerial staff, secretarial pools and international reps spoke rather well in ideolects of the English Language. Bocconi University has high hoops to hurdle to get students through the season with honors for those attending the programs! We are unable to agree that students will be able to find "the all" to develop an ethical post in the world, ever more so on an international scale. When Bocconi University describe enrollees as "likely managerial class," they have distinguished them into submitting to limited future trials at businesses. Why distance oneself when it appears better to embrace challenges? We support Busacca and Bocconi's gumption, Such rigor! However, the gelato shop adjacent to the school may provide a more fundamental steering handle to the fast track lanes. The former two institutions thwart pupil's pursuits.